Tours available in summer season only (Dec 1st, 2018 until March 31st, 2019). Hi there! Welcome to Free Tour Pucon. A great way to discover one of Chile's most unique and beautiful towns. 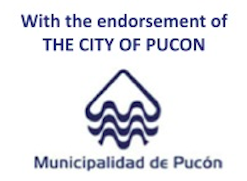 We meet WED through SUN at 11.00am at Pucon Square (in front of the church, on the corner of Pedro de Valdivia and Fresia streets) for our 2 hour Free Walking Tour (In English) around Pucon town. You will get to explore Pucon's most popular sites, and learn amazing stories about its history! Don't miss hearing about the Volcano Eruptions! Pucon's History, Pucon's Surroundings, and the Mapuche, the brave indigenous people, who continue to fight against colonization. No charge. You just give tips at the end. Come join us for a great introduction to Pucon! Rain or Shine! Cheers! Tour Schedule: Free Walking Tours are available on summer season (December through March). 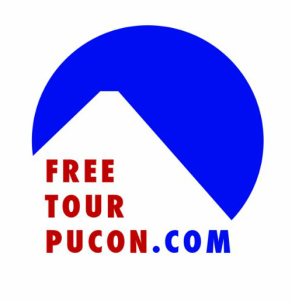 (For other dates or times, email us to info@freetourpucon.com and we can schedule a private city tour for your group (min 7 people)).